Still working out which bits of the E4 I liked the best but certainly loved walking in Spain and Andalucia in particular. When I walked there in March I had to choose between the southern and northern variants of the GR7 and I have no idea whether my decision to walk along the northern route was the right one. Any excuse to go back to Spain I’m going with Christine in October to walk the southern variant and find out how it compares with what I have done already. We haven’t got enough time to do the whole variant so we’re going to start at Ventas de Zafarraya and walk through to La Calahorra, about 230 kilometres. First days walking will be on the 15th of October and we will be walking for 9 days. I think you need at least 15 days to do the whole route. For second half of the walk we are going to be joined by Juan Holdago. Met Juan last year on my second day out of Tarifa. This was an amazing stroke of luck as well as an amazing coincidence. Turns out that Juan is an expert on the GR7 and all things walking in Spain. He has his own web site (www.jaholgado.com) and helped Michele Lowe and Kirstie Shirra write their guide “Walking the GR7 in Andalucia”. Although I was lucky enough to meet Juan face to face there is now a group of people providing each other with advice about the E4 something which will hopefully continue to develop. I got great help from Sue and Ivan Godrey who have already walked along the GR7 variant, David and Carole who have been walking the E4 for several years and provided advice on accomodation, and Menno Wolters who helped early with the route. Finding which is the best variant in Andaculia is one several questions about the E4 route which I intend to enjoy answering over the next 18 months or so. I also want to walk all the way along the GR7 from El Boixar to Pyrennees and see if this as a better option than the official route which takes you down to the coast; whether you could somehow incorporate the Robert Louis Stephenson Trail into the walk in the Massif Central; and, whether there is a higher level option in the Vercors. 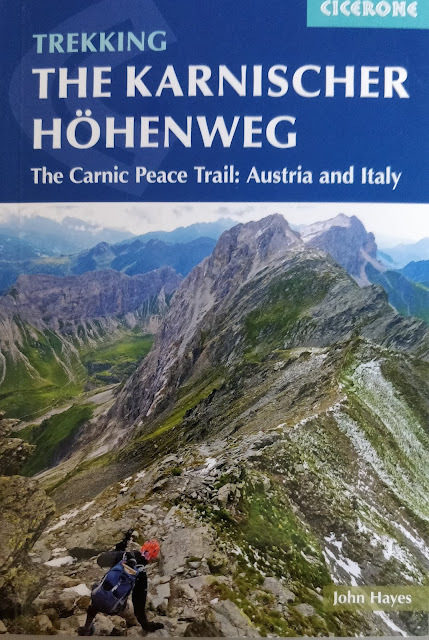 Finding answers to these questions is just an excuse to go back to some amazing walking country but at the same time, and because I enjoy it, I do intend to keep working on the blog and, hopefully with collaborators, develop it as a source of information for anyone interested in the E4. In particular I’d like to revisit the work on the stages I did when planning the walk and update it to take account of what I found when I actually did it. This will include a more comprehensive look at the accommodation options. While I’ve managed to raise nearly £6,000 for my charity in Nepal (and thanks to everyone who sponsored me) it's still a long way from my target (£20,000!) but I don’t intend to give up. I think I may have squeezed as much out of family and friends as I can so I’m now starting to look at other options (please let me know if you have any suggestions). Currently looking at ways the web-site could generate income and, for example, will use any revenue from adverts on the web-site as a contribution to the target.